I’m looking forward to see a work from you again. 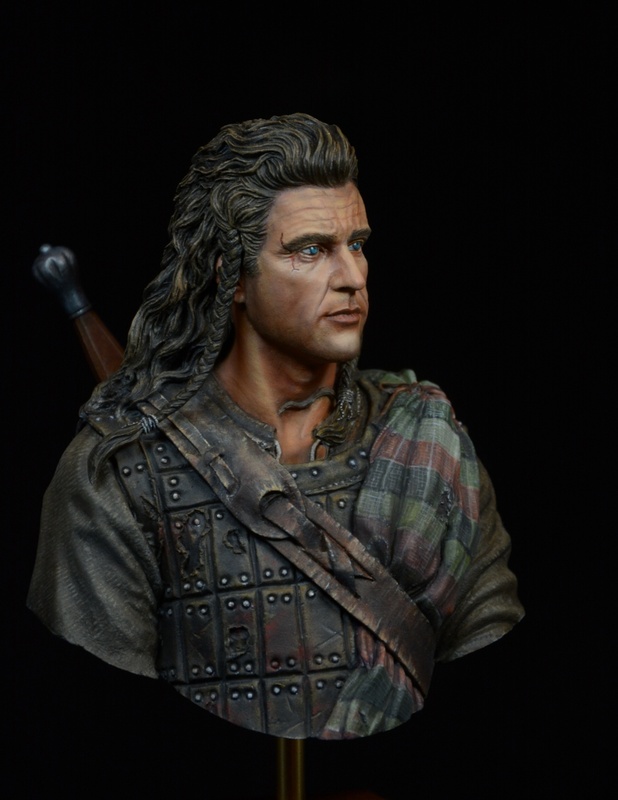 What I like best about your work is the face of Mel Gibson. The skin color with the soft transitions and then the look that goes into the void. Just fantastic! For me, this is the best work of yours. Thanks Pit-Rehmke for the good comments, appreciate! Nice face, fabrics and leather. Luc its a gold paintjob ! Nice work Luc! The skintones in particular look great! I have this one and plan to paint it soon, so will keep pics of your work for reference. Thanks Jason, When you’ve paint Braveheart I’m sure it will be a Master Piece !!! Excellent painting, very realistic texture of fabric and leather! Thanks John, I appreciate you words very much. Hi Luc, fantastisch werk! Huidtinten zijn zeer goed getroffen en de stoffen zijn geweldig! Bedankt voor je reactie Martin ! le skin colour is excellent ! Very realistic painting. Great job. Your beautiful bustes are an example for me, always superb !!! Awesome! Some of your best work, gold! Je découvre votre peinture sur ce buste et je suis admiratif. C’est franchement magnifique. Je pense que vous méritez une bien meilleure moyenne…..